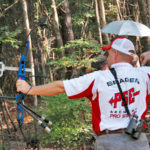 Editor’s Note: Michael Braden (http://michaelbradenarchery.com/) of Houston, Texas, has won both ASA 3-D tournaments and IBO tournaments. He’s won numerous national championship titles and several Male Shooter-of-the-Year titles and is an avid bowhunter. 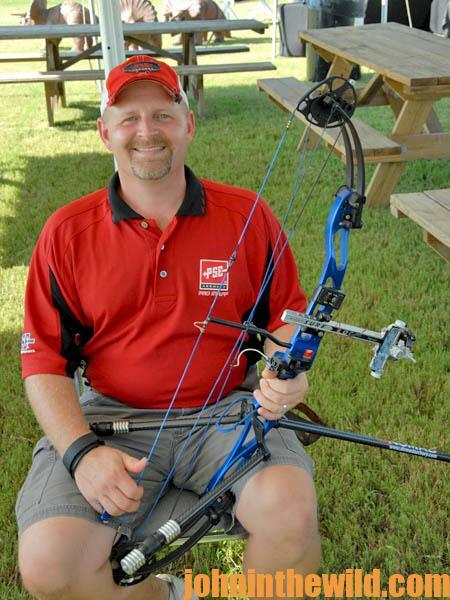 He bought his first bow at a pawn shop in 1989, shot his first archery tournament in 1991 and became a professional staffer with PSE (http://pse-archery.com/) in 1996. 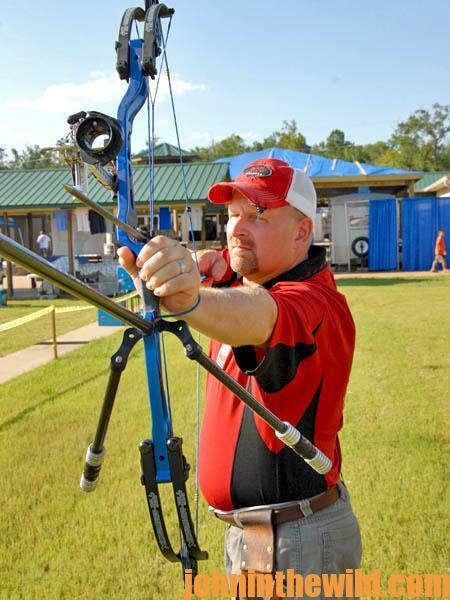 As well as being a tournament archery shooter, Braden’s an archery coach. Phillips: Michael, if a deer comes-in from a direction you’re not expecting, and you have to shoot under a limb to get off the shot, you’ll be in a half-squat position. How do you make this shot? Braden: I’d recommend you not take the shot. This is where training comes into play. If you’ve never made a shot like this before, more than likely you won’t make this shot if you decide to take it. However, if you’ve practiced the half-squat shooting position and developed the form you need to accurately make this shot, then this will be a “take-it” shot. When an animal stands in front of us and presents this type of test to the shooter, we need to reflect on how our training has prepared us for this style of shot. That’s why I say if you’ve never practiced this type of shot, more than likely you won’t make it effectively. However, if you’ve practiced this type of shot and can remember how you’ve aligned your body to shoot accurately, this very well may be a “take-it” shot. This is the reason I say that training for a bowhunter has to include every type of shot he possibly may be called-on to make. Having a coach watch you as you practice those different shots can help you make them more effectively. I want to practice and have my students practice every extreme shot they may be called-on to make in the field. Then, when an animal presents itself for a shot, the student knows immediately from practice whether he can make that shot. There are times when I’m hunting that I won’t take the shot, regardless of how big the animal is, if I know I can’t execute a perfect shot. 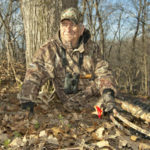 Phillips: Michael, a number of hunters have started hunting from ground blinds, and most of the time when you’re hunting out of a ground blind, you’ll have to take a seated shot. In most blinds, you only have a certain amount of distance you can move up and down, because the blinds have horizontal slits instead of vertical slits. How do you coach a hunter to shoot under those conditions? Braden: You need to practice in the environment in which you plan to hunt. 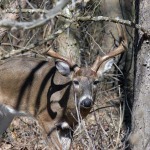 If you’ll be shooting from a ground blind, then practice shooting from a ground blind. I know of quite a few archery shops that will let bowhunters set-up ground blinds at their ranges to simulate hunting conditions. My wife Georgianna lifts her bow just a little as she draws. When she gets in a ground blind, she becomes a little claustrophobic. She can’t lift her bow quite as high as she normally does when she draws it. She struggles the first time she tries to draw-back her bow in a ground blind at the beginning of hunting season. When she has that claustrophobic feeling of not being able to raise her bow high-enough to draw it, she has to change the position of her drawing motion until she practices in a ground blind a few times, and then it becomes more natural to her. Before hunting season, she needs to practice drawing and shooting, if we plan to hunt from a ground blind. That may change her technique from the way she shoots in practice or in a tournament. Phillips: Most archers who hunt from a blind want to get as close as they can to the opening they’ll shoot through when the animal comes-in to make sure the arrow gets out of the blind when they release. Is that a good idea? Braden: Definitely not. I recommend and will coach the hunter to stay as far back in the blind as possible. The further you are to the back of the blind, the less movement an animal will see. Plus, you have more room to draw and move, and you’re less likely to have light reflect-off any of your equipment. Phillips: What’s the biggest problem most hunters have when shooting out of a ground blind? Braden: They don’t really understand the difference between line of vision and the path of the arrow. The bowhunter’s line of vision in a ground blind is above the path that the arrow will fly. So, there are times when a bowhunter shooting downhill will come to full draw and see the animal in his or her sight picture and nothing obstructing his line of vision. But the line that the arrow will take is below what the bowhunter is seeing. I’ve seen many archers shoot the bottoms of the windows they’re shooting through, because they don’t recognize the difference between their line of vision and the path the arrow will take when it’s released. Phillips: Michael, don’t most bowhunters try to over-bow themselves? Braden: For many years, we’ve believed that the more bow weight we can pull, the better we’ll shoot, and the truer the arrow will fly. We know that the more poundage we pull relates to the speed of the arrow, the kinetic energy the arrow can deliver and the penetration of the arrow. So, the more poundage we can pull, the better-off we’ll be in a hunting situation. However, drawing a bow is easier when you’re standing than when you’re sitting. Also, when you’re practice shooting in the backyard and warming-up, pulling a heavy bow isn’t as difficult. However, when you’re hunting, you’re usually cold from a temperature standpoint, but you’re also cold because you’ve been sitting in one position for hours and haven’t drawn your bow. Therefore, your being able to draw your bow comfortably without contorting your body and being able to point your bow straight at your target and pull the bow straight back, without having to lift it, in a comfortable, controlled manner are important to your success. That’s far-more important than being able to pull heavier poundage. You may have to give-up all the advantages of shooting a heavy-weight bow, because you can’t pull it as easily as you need to make an accurate shot, if you’ve been sitting a long time, and you’re cold. My wife Georgianna has a short draw length and only pulls 48 to 49 pounds. But she can take any animal in North America shooting that weight, because she shoots accurately. With the compound bows and arrows we have today, we don’t have to shoot extremely-heavy weights to get great accuracy and performance out of our bows, like we had to in the past. The bottom line is that you should be able to draw-back your bow easily and comfortably when you’re cold, and when you’re wearing heavy, bulky clothes. 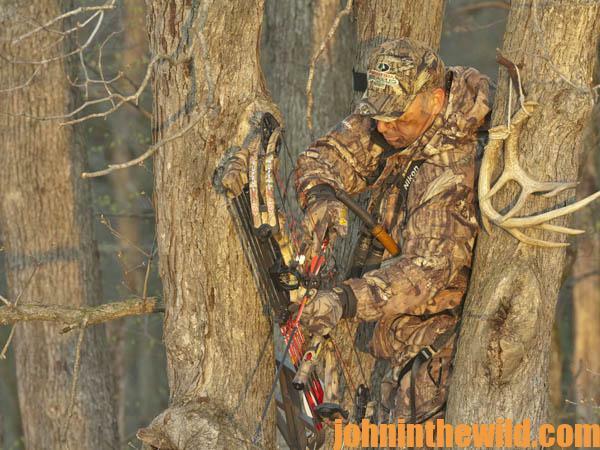 Whatever weight you can draw under those conditions is the bow weight you need to use when hunting. If you train with a 65-pound bow and turn it down to 62 or 63 pounds, you’ll be surprised at how much easier the bow is to draw and shoot in hunting conditions. If you train with 65 pounds and shoot 60 to 62 pounds, more than likely you can shoot that bow comfortably under most hunting conditions. 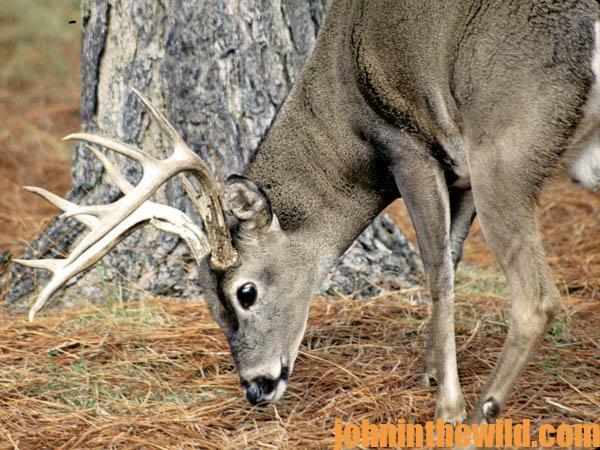 If you want to practice at 65 pounds and then turn the bow down to 60 or 62 pounds before you go hunting, you should be able to shoot that bow comfortably. Phillips: How do you compensate for taking a shot going uphill or downhill? Braden: As you shoot uphill and downhill, cut yardage (shoot the target for a lesser distance than your range finder tells you the animal is), because there’s not as much gravitational pull on the arrow as there is when you’re shooting on flat ground. Most people realize that when you’re shooting downhill, you need to reduce the yardage, but the same is true when you’re shooting uphill. There are some great computer programs that will help you with these two problems. Also, today there are some good range finders that actually compensate for uphill and downhill shooting. Those range finders will tell you the distance to the target, the angle uphill or downhill and the corrected range. So, when coaching a bowhunter, I have them train shooting uphill and downhill. If I ask the student how much he thinks the angle is, either uphill or downhill, and then check that angle with my inclinometer or range finder, I can tell them the exact angle. Get a range finder that compensates for the angle of the hill, because it takes all the guesswork out of how much yardage you need to take-off, if an animal is uphill or downhill. So, if you’re hunting in hilly country, I strongly recommend you get one of the new range finders that compensates for uphill and downhill shots. I always suggest that every hunter use the best technology and equipment he or she can find to help him shoot accurately. 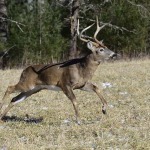 Phillips: What’s the biggest problem for bowhunters? Braden: They don’t set-up properly. Also, perhaps their bows don’t fit them, and they don’t receive instructions from a coach to get them pointed in the right direction and to help them learn to shoot a bow accurately before they try to shoot animals. Also, they may not have practiced enough to know when to take their shots. As hunters, we owe it to the animals we hunt not to take any shots if we’re uncertain about whether we can make accurate shots. 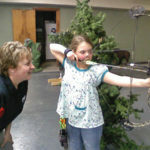 I advise any bowhunter to get with an archery pro or coach – well before deer season and have the coach check his form and equipment and advise him on how to shoot more accurately. 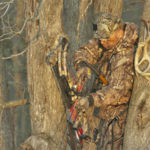 To learn much more about bowhunting, get John E. Phillips’ eBooks, print books and audiobooks by going to http://johninthewild.com/books. For free information on making jerky from your deer to provide a protein-rich snack, you can download a free book from http://johninthewild.com/free-books. 08/24/2017 What’s the Best Shooting Form and Style in the Field?